Are you looking for how-to books and tools for change-makers? 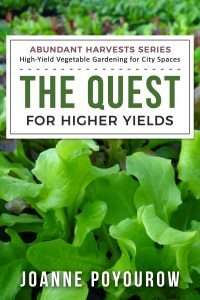 Vegetable gardening guides that are integrated into environmental and climate action. 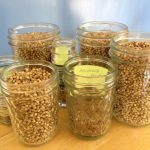 These seven titles take a Permaculture approach to various facets of sustainable gardening, including soil, water, land, seed, container gardens and more. 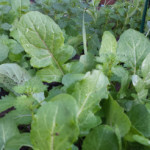 Additionally, the Vegetable Crop Rotation Wheel is a garden-planning tool that makes crop rotation in your garden easy! 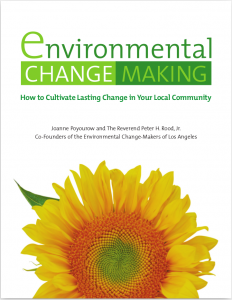 Co-authored by Joanne Poyourow and Peter H. Rood, Jr., this book tells the story of the first three years of the Environmental Change-Makers community group. Together the Change-Makers built two community gardens and a community bread-and-pizza oven, mentored community groups and gardens throughout Southern California, and hosted numerous public gatherings and events. Find out how they did it, and how you can do it too.